Two miscreants, who hired an autorickshaw in the guise of passengers, allegedly set fire to the driver as he resisted their attempt to rob him around 12.30 am on Friday. BENGALURU: Two miscreants, who hired an autorickshaw in the guise of passengers, allegedly set fire to the driver as he resisted their attempt to rob him around 12.30 am on Friday. The incident occurred under Viveknagar police station limits. A resident of Richmond Town, Mohammad Asif (30), the auto driver, sustained burns to his left forearm. 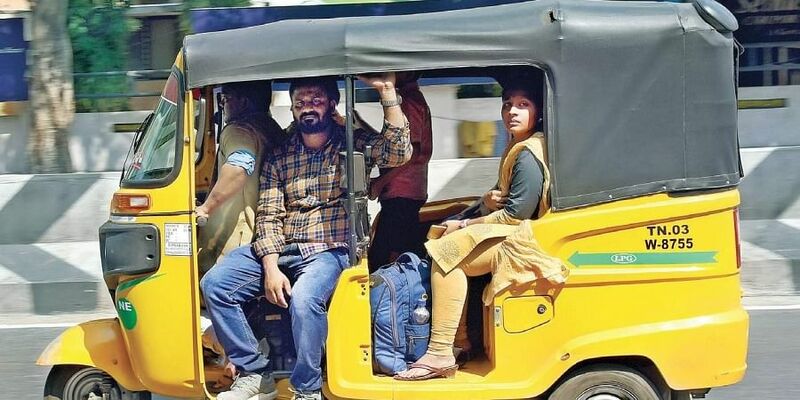 Police said two miscreants hired the auto from Victoria Road to Ejipura bus stop and after a while they asked him to stop claiming they wanted to attend nature's call. As Asif stopped the auto, they demanded that he give the money he had. But Asif refused. He also assaulted one of the accused persons and then the two overpowered him and took away Rs 500 cash from him. “Before leaving, they took out a bottle of petrol they were already carrying and poured it on Asif’s hand and set it on fire. Asif managed to douse the fire. As per his statement, the two miscreants were aged between 25 and 30 and spoke in Tamil," police said.